WENDOVER — Authorities are searching for the ashes and remains of a combat veteran that were stolen from a business vehicle at a Wendover motel on Monday. 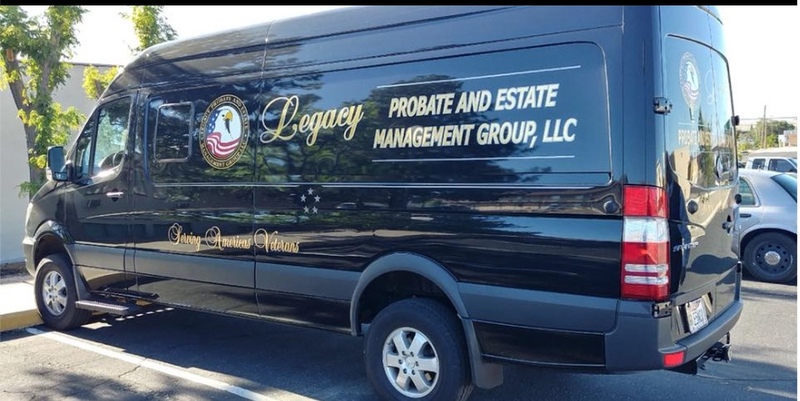 The remains were stolen from a black Mercedes Benz ECO van belonging to Legacy Estate Management, Wendover Police Department officials said on Facebook. The vehicle was parked at the Quality Inn Motel at 245 E. Wendover Blvd. Legacy Estate Management helps U.S. veterans and their families after their deaths, police said. The stolen remains were being escorted to the California coast, according to police. Also stolen from the vehicle were some clothing and electronics. Wendover police are asking for anyone with information about the stolen items to contact them at 435-665-7771. On 06/11/2018, the Wendover Police Department investigated a vehicle burglary at the Quality Inn Motel in Wendover, Utah. The vehicle burglarized was a black Mercedes Benz ecovan with a business logo representing "Legacy Estate Management." Items stolen from the vehicle included electronics and clothing. Legacy Estates Management serves veterans and their families after the passing of U.S. War Veterans. A specific item that was stolen from the vehicle was the ashes and remains of a combat veteran who was being escorted to the California coast. The victim of this case would like to recover the remains of the deceased. Anyone with information as to the whereabouts of stolen remains are asked to contact the Wendover Police Department. Please share.